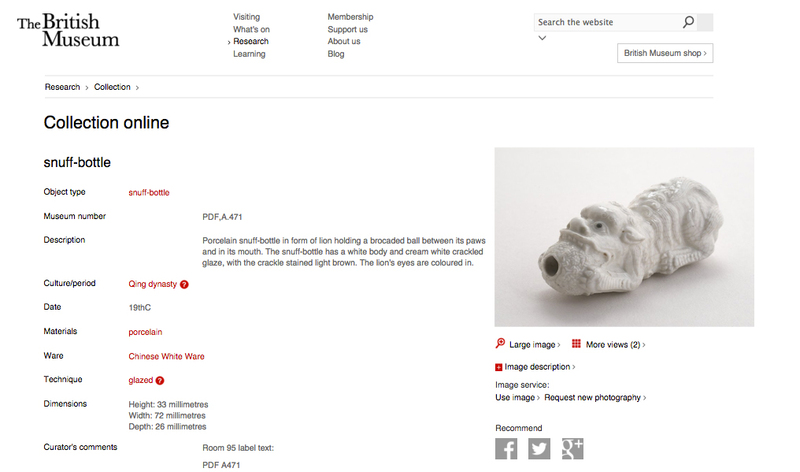 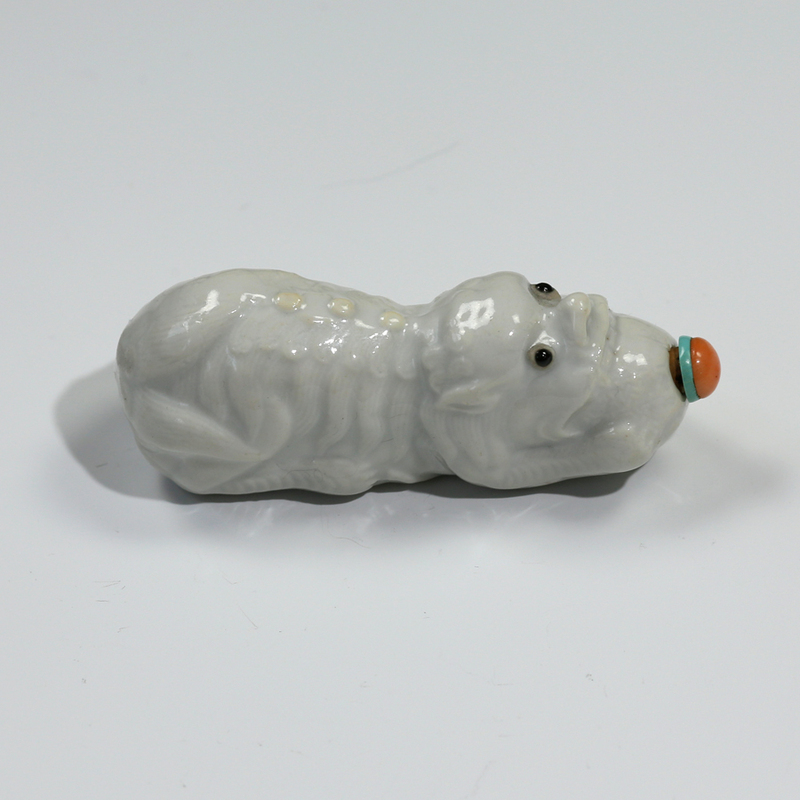 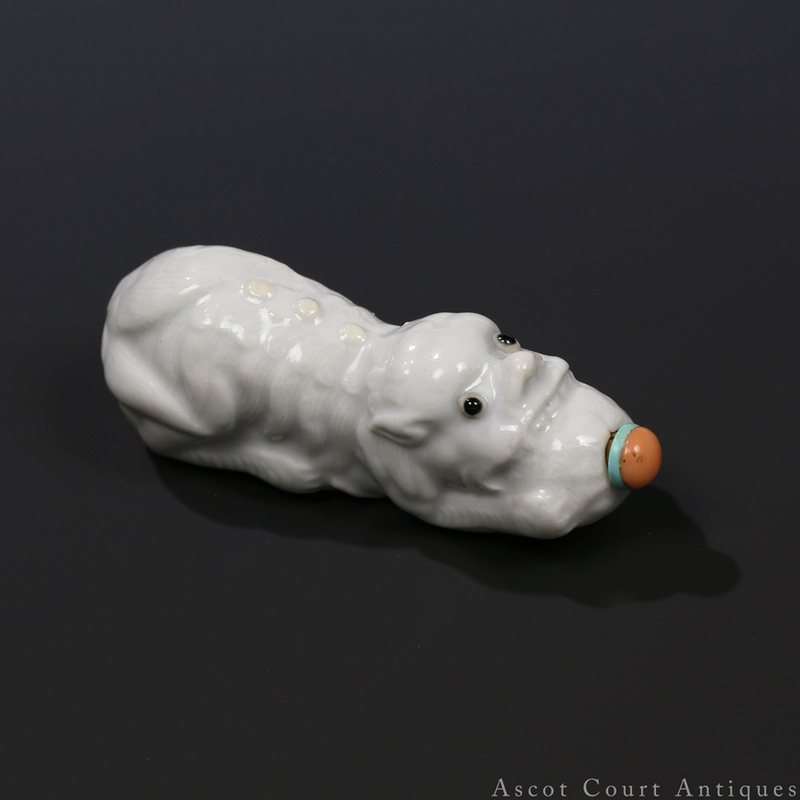 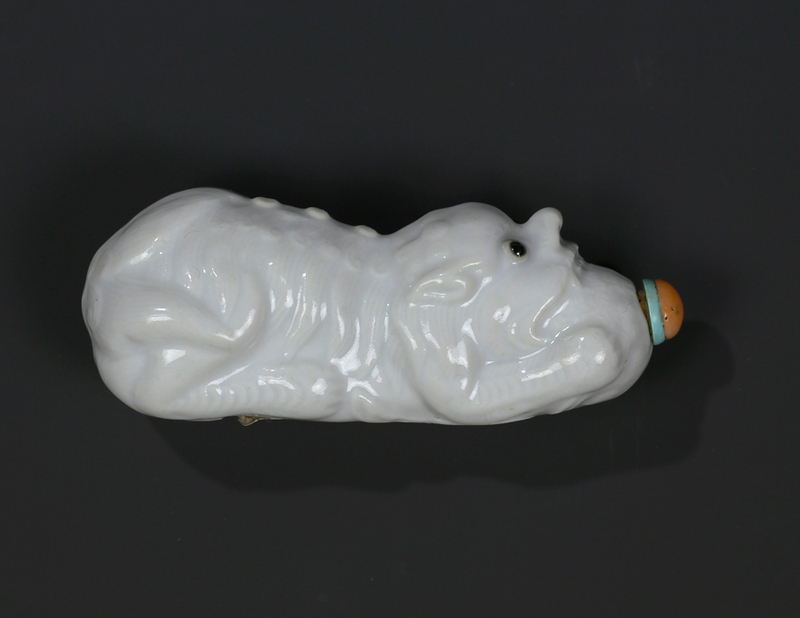 A charming and unusual white-glazed porcelain snuff bottle, made between 1790 – 1810, and mould-cast in the form of a recumbent Buddhist lion with a brocaded ball between its mouth and paws. 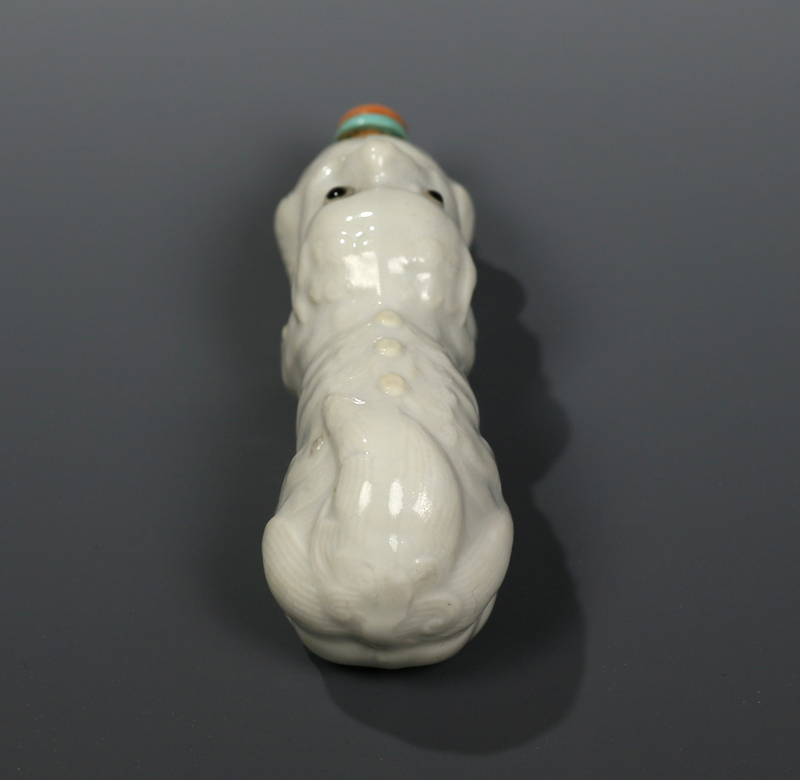 The eyes are accented with black glaze and a ring of exposed biscuit, while the original stopper is capped with turquoise and natural coral. 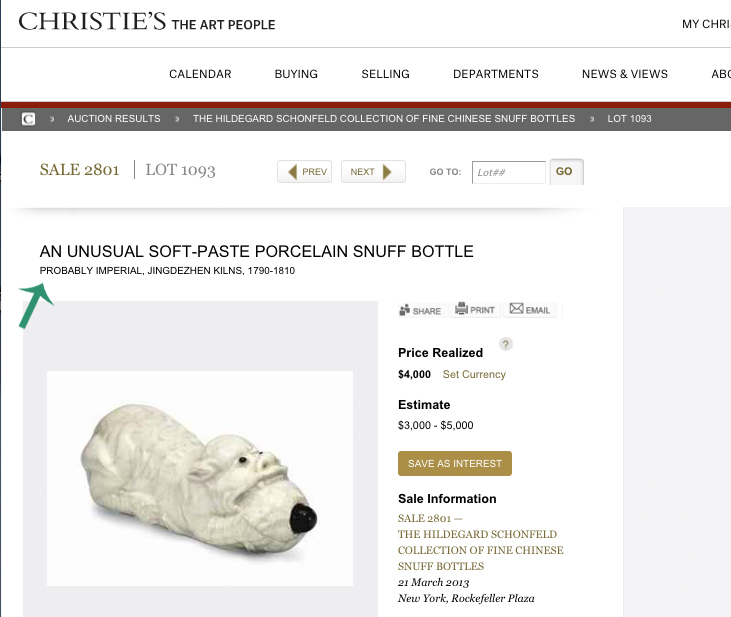 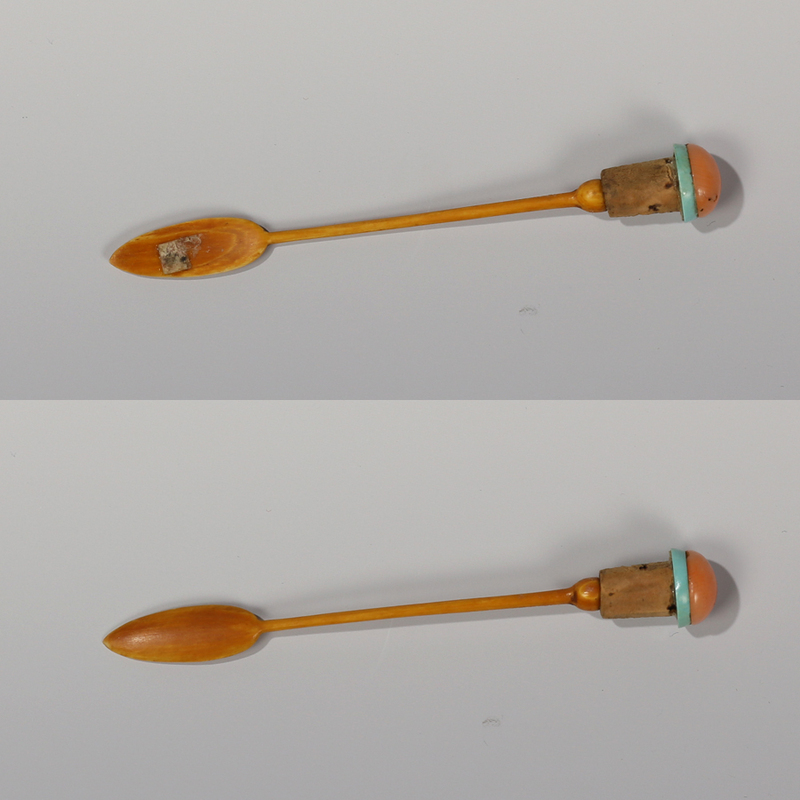 A similar snuff bottle in the Hildegard Schonfeld Collection was sold by Christies New York on 21 March 2013 (lot 1093 sale 2801).